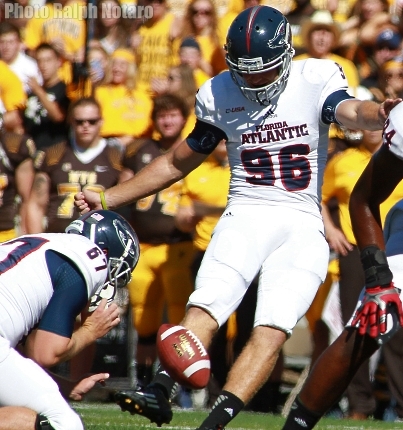 The Owls lost to Wyoming on a game clinching field goal Saturday afternoon and will now have to put this game behind them and get ready for conference play. The defense continued to make great strides on Saturday, making big plays to put the Owls in position to win the game. Jay Warren has shown flashes early in the year to make the next step and may have done so after recording his first 100-yard rushing game on the year. Last year FAU finished the season 6-6, but many players on the team will tell you they let some game slip away. In the Conference USA championship game, Marshall and Rice were the participants that represented the East and West respectively. FAU had both teams dead in the corner but late turnovers in the Rice game, and special teams blunders in the Marshall game, ended up costing the Owls a potential bowl bid and a shot at the Conference USA championship. Against Wyoming FAU failed to finish off a team they had beat as Jaquez Johnson fumbled after a great defensive stand by the defense. On the next play FAU gave up an 88 yard completion and the rest is history. Fortunately for the Owls, this was a nonconference game and will have no bearing on FAU's chance to capture their second conference title in school history. Being that FAU had gone through similar situations last year, the carryover from this game should force the Owls to play angry against their next opponent. After losing to Rice, the Owls beat UAB 37-23. Hopefully Partridge can use this as a teaching moment for the players and his coaching staff and maintain their focus going into conference play and not let this become a trend. After star defensive ends Martin Wright and Cory Henry graduated, many wondered who was going to replace their production and get pressure on the quarterback. Robinson Eugene and Shalom Ogbonda have played well so far on the season but it appears sophomore Trey Hendrickson has emerged as FAU's next dominant pass rusher. After compiling zero sacks and one quarterback hurry in his first two games, Hendrickson has been on a tear. Against Tulsa and Wyoming Hendrickson was all over the stat sheet registering three sacks, three tackles for loss, and three quarterback hurries. As FAU transitions to the conference portion of their schedule, we are going to here Hendrickson's name a lot more in the pass-happy Conference USA. - Jay Warren recorded his first 100 yard game on the season and second of his career. - Greg Joseph (pictured) was perfect, going 4-4 and nailed a career long 43 yarder. - Six different receivers recorded a catch. - Andre Kirk recorded his second sack and first forced fumble of the year. One can only hope that yesterday's horrible finish will not be repeated. Everyday for the rest of this season every player, coach, and fan cannot forget the lapses that cost FAU the win yesterday and use this reality to play and finish like a winner in remaining game!